Showing 36 articles from February 15, 2017. LOUISBURG -- Franklin County schools are likely to seek a significant increase in local funding for the 2017-18 fiscal year if discussions at a school board budget session Monday night are any indication. 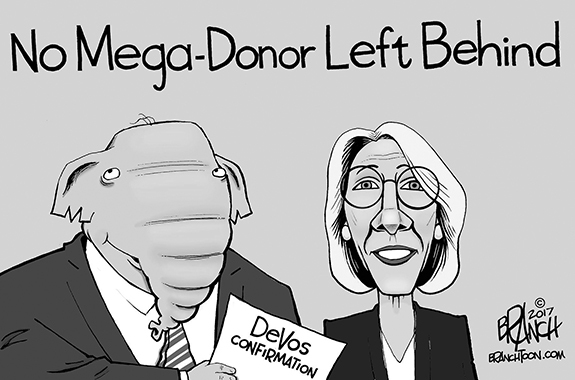 And, as one school board member stated, financing those increases with bake sales and chicken dinners isn't a viable option! Currently the district receives about $16.2 million in local funding from the county which supplements $52.2 million from the state and about $2.5 million in federal funds (excluding some special projects). Her idea mushroomed -- literally! 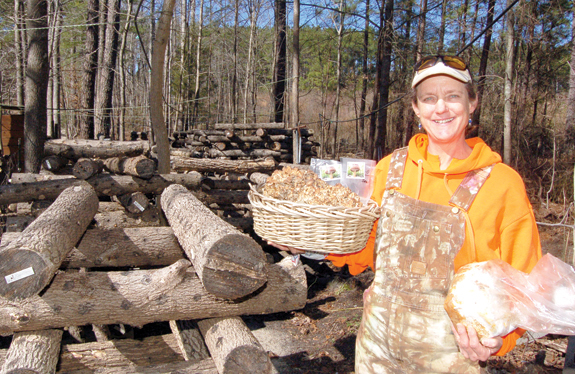 LOUISBURG -- Ironically, for Beth Gayden, it was a brush with death that essentially made mushrooms her life. The veterinary technician loves the outdoors, loves riding horses and has a scientific curiosity that fuels her desire to know what things are and how they work. 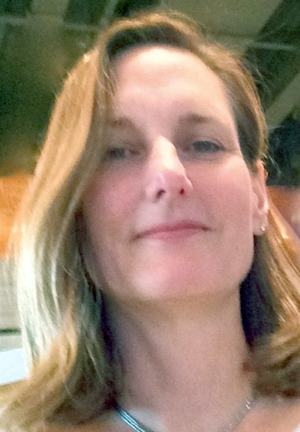 "In 2003, I went to Africa on safari and I met this woman from Pennsylvania -- [which produces more than 60 percent of U.S. mushrooms] -- and she became my mushroom mentor," Gayden said. The connections, though, aren't clear. On Feb. 10, sheriff's deputies arrested 22-year-old Jon Edward Check, charging him with two counts of felony assault with a dangerous weapon inflicting serious injury and one count of misdemeanor assault with a deadly weapon. FRANKLINTON -- The man sheriff's deputies allege shot someone during an apparent drug deal in a school parking lot is slated to appear in court next week. 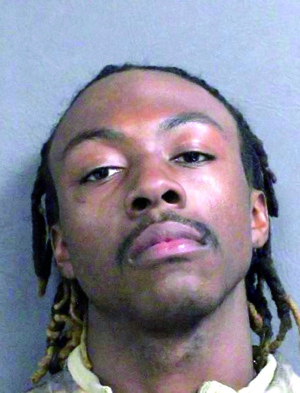 Delshawn N. Cooke, 22, was arrested Feb. 10 and charged with assault with a deadly weapon inflicting serious bodily injury and discharging a firearm on education property. His arrest came just more than a week after deputies responded to the Franklinton High School parking lot on Feb. 2 to find Kvon Wright suffering from a gunshot wound to the arm and chest. A two-lecture presentation on colonial gardens, part of the Tar River Center's lecture series, is scheduled for Feb. 24 in Benson Chapel at Louisburg College. The talks, which start at 10 a.m., are "Moravian Legacy: A Landscape History with Practices and Tips from Old Salem Gardens" by Martha B. Hartley, and "The Kitchen Garden at the Joel Lane Museum House -- a Colonial Garden and Its Relevance Today" by Laura Willer. Hartley, director of research and outreach for the Restoration Division, Old Salem Museum & Gardens in Winston-Salem, will be talking about the ethic that guided development of Salem's landscape, and the conservation practices used in the 250-year-old town. As an avid reader, I'm always amazed that novelists seem to be able to see into the future and weave their stories around concepts most of us haven't heard of -- yet! I recently read the novel "The Whole Truth" written by best-selling author David Baldacci way back in those more innocent days of 2008. Forming the backbone of the story is something called "perception management" and that's a concept that seems frighteningly appropriate in this day and age of "alternative facts" and fake news. Is our three high school tradition slipping away? Reading "between the lines" is always "iffy" but sometimes necessary. That's the situation at the moment regarding important financing questions for Franklin County schools. 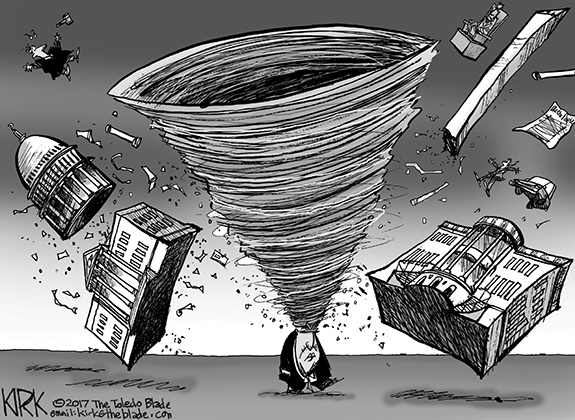 As you know if you're a regular Franklin Times reader, there is some debate about how to spend the remaining 2008 bond issue revenue. County commissioners -- who unfortunately have most of the control over such decisions -- have been saying they want to live up to a commitment that was made when the 2008 bond issue was passed by voters. Michael Flynn just quit his job, a White House aide said, because he'd become a lightning rod in the White House. Nick Cannon said he plans to quit his job because NBC was seeking to silence and control him. Both statements are not false. But they are not the complete truth, either. LOUISBURG - Funeral services for Margaret Scott Davis Fogg, 72, who died Sunday, Feb. 12, 2017, will be held Saturday, Feb. 18, at 12 p.m. in the Richardson Funeral Home chapel in Louisburg, with the Rev. Donathan Muldrow officiating. Burial will follow in Oakwood Cemetery. BUNN -- From a perfect set to a well-gauged leap for a kill, timing is everything in volleyball. That's how Bunn spike skipper Henry Jones has felt recently as he contemplated the next phase of his life following 22 years as the Ladycats' head coach. With an eye toward the future, Jones has announced that he is retiring from teaching and coaching at Bunn when the school year ends in May. 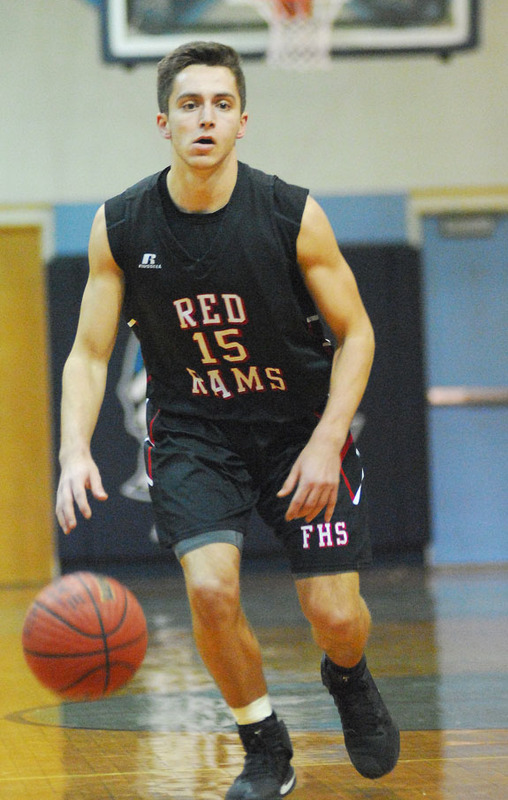 CREEDMOOR - Thanks to two final-week losses, a mystery point and a second-place finish in the Northern Carolina Conference regular season standings, the Franklinton Red Rams will go into the Class 2-A Boys Basketball State Playoffs with a lower seed than originally hoped. 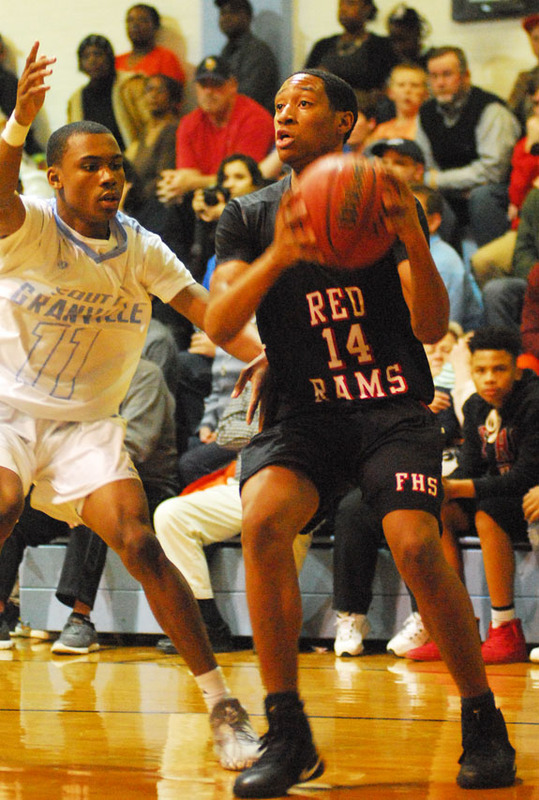 FHS seemed in good shape heading into the week, but the Red Rams were edged by one point against Roanoke Rapids in a game that had FHS head coach Terrence Horne crying foul. TREMENDOUS TOURNAMENT. Cedar Creek's Miracle Cornell was exceptional during the MAC Girls Basketball Tourney. 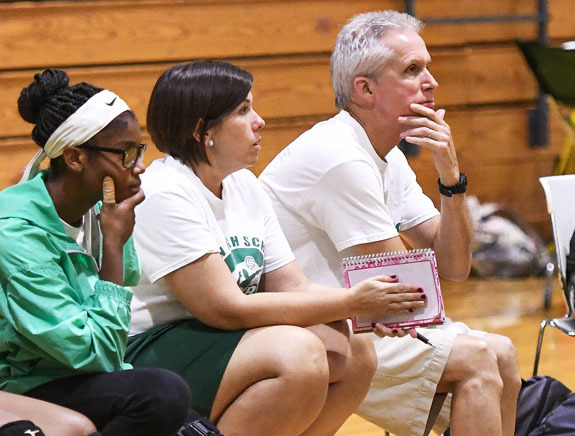 BUTNER -- Despite fielding some high-level teams through the years, Cedar Creek Middle School had claimed just one Middle Athletic Conference Tournament girls basketball championship in its 18-campaign history. 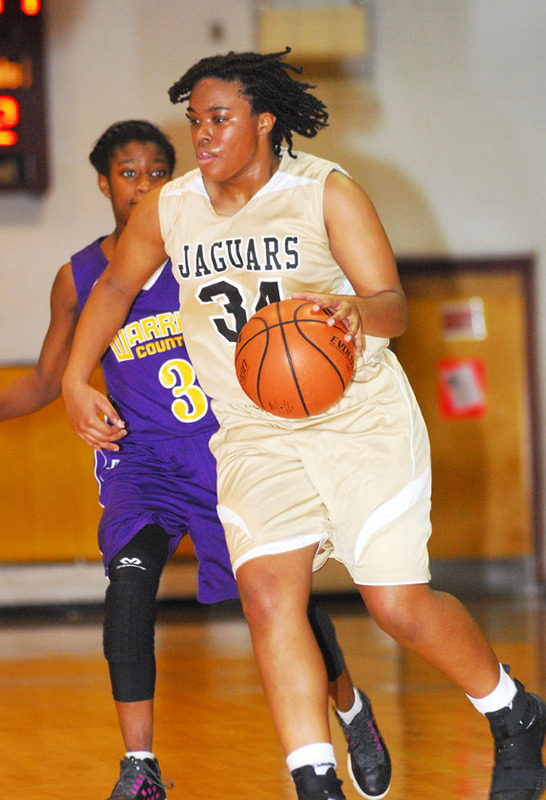 That changed last Thursday as the Lady Jaguars of Coach Bryan Perry held off Warren County by a 23-20 total in the finals of the 2017 MAC Tourney at the Butner-Middle School Gymnasium. DOCTOR OF DUNK. Louisburg College's Jordan Oakley elevates for a slam during last Saturday's home victory against Patrick Henry CC. 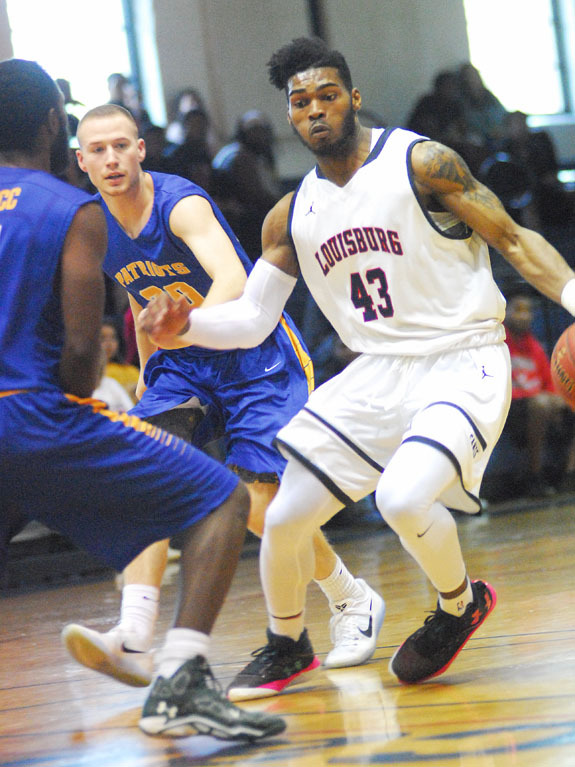 LOUISURG -- Way back on Dec. 3 -- after a perplexing road loss at Guilford Tech -- Louisburg College's men's basketball record stood at 6-3, and head coach Neil Dixon wasn't sure what direction the season was headed. That seems like forever ago as the Hurricanes haven't lost since -- a stretch that spans 15 games and includes a pair of victories against chief Region X rival Richard Bland. 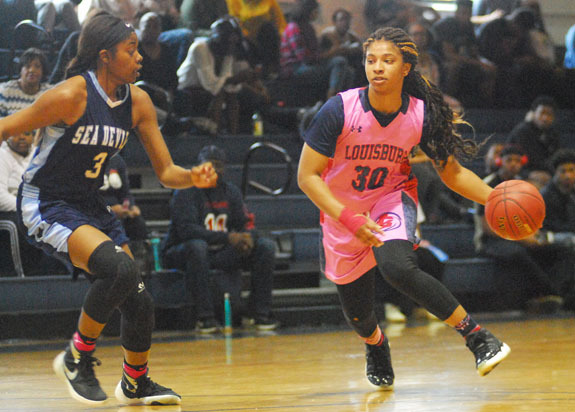 LOUISBURG -- All appeared lost for the Louisburg College Lady Hurricanes during last Saturday's women's basketball matchup at home against Cape Fear Community College. But LC wasn't about to give up, despite facing a 12-point deficit with just under four minutes remaining in the fourth quarter of action. CREEDMOOR -- Lester Wilder has experienced plenty of highs and lows over the past few weeks as he closes out his amazing 41-year career as the Franklinton High School girls basketball coach. Two weeks ago, Wilder enjoyed a storybook moment as he was honored during his final home game. To top things off, Franklinton used a buzzer-beater to defeat South Granville in a key Northern Carolina Conference showdown. BUTNER -- As difficult as it sounded at the time, patience would prove to be Terrell Lane's best asset during last Thursday's showdown with Eaton-Johnson in the championship game of the Middle Athletic Conference Boys Basketball Tournament. Of course, a clutch dose of skill from E.J. 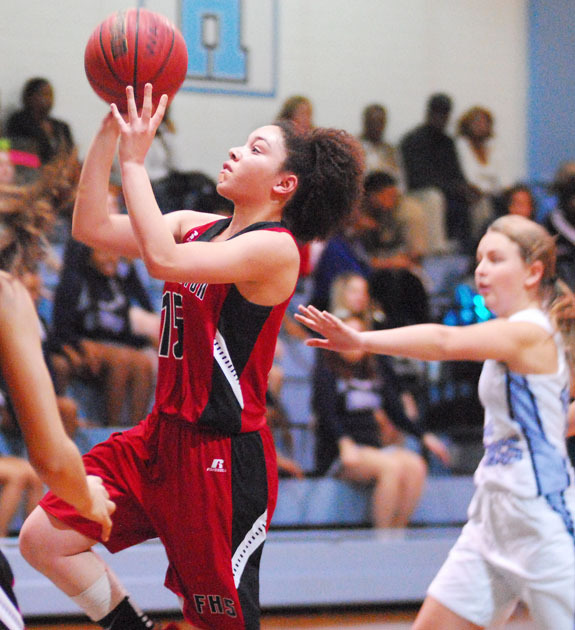 Jamison didn't hurt as the Tornadoes claimed a long-awaited league crown with a convincing 65-53 decision over E-J at the Butner-Stem Middle School Gymnasium in Granville County. BUNN -- Despite registering just three victories for the season, it was obvious that the Bunn Wildcats made improvement as the 2016-17 boys basketball campaign progressed. That was evident down the stretch as the Wildcats closed out the regular season schedule with a solid week that began last Tuesday with a 56-38 triumph against North Carolina School of Science and Math. LOUISBURG -- Louisburg College's baseball season has gotten off to a successful start as the Hurricanes won three of four games last weekend as part of a campaign-opening series against Patrick Henry Community College. Last Saturday, the Hurricanes swept the Patriots by scores of 13-8 and 6-5 at Frazier Field on the LC campus. In the first game, LC pounded out 10 hits and took advantage of five Patrick Henry errors. GREENSBORO -- Rosters have been finalized for the Tar Heel teams at the annual North Carolina/South Carolina All-Star Carolinas Basketball Classic. The 2017 installment of the event will be held March 18 at Socastee High School near Myrtle Beach. The girls game will tip-off at 6:30 p.m. and will be followed by the boys matchup. Tickets are $10 per person and will be available at the gate. ZEBULON -- The Carolina Mudcats' annual job fair and hiring event returns on February 25 from 10 a.m.-1 p.m. inside Cattails Restaurant at Five County Stadium in Zebulon. Interested applicants ages 16 and over are welcome to apply. Job seekers wishing to work for the Mudcats are highly encouraged to download, print and complete the online job application before arriving. SEDA SCORES. Louisburg's Tatyana Seda scores in the paint. 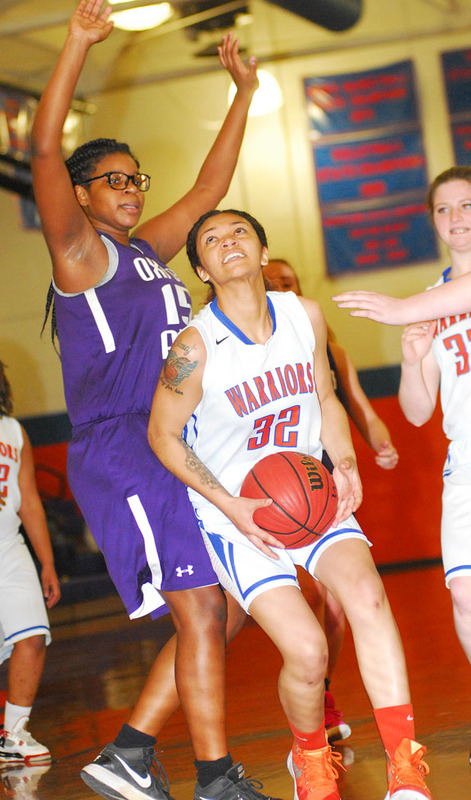 LOUISBURG -- For evidence of Louisburg High School's drastic girls basketball improvement this season, simply take a look at the Tar-Roanoke Athletic Conference standings. The Lady Warriors, under the direction of head coach Chris Baker, took second place in the TRAC behind powerhouse Weldon with a 15-7 overall record. Louisburg kept its momentum going during Tuesday's first round of the TRAC Tournament. Franklinton's Jerrail Brodie drives last Friday night. Louisburg College's Jordan Oakley heads toward the basket last Saturday afternoon. 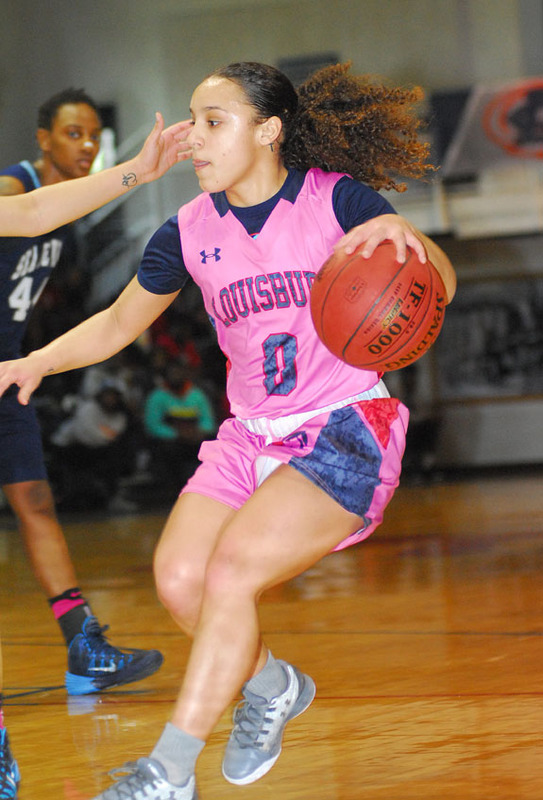 Louisburg College's Teana Lewis (right) makes a strong move toward the basket last Saturday afternoon. 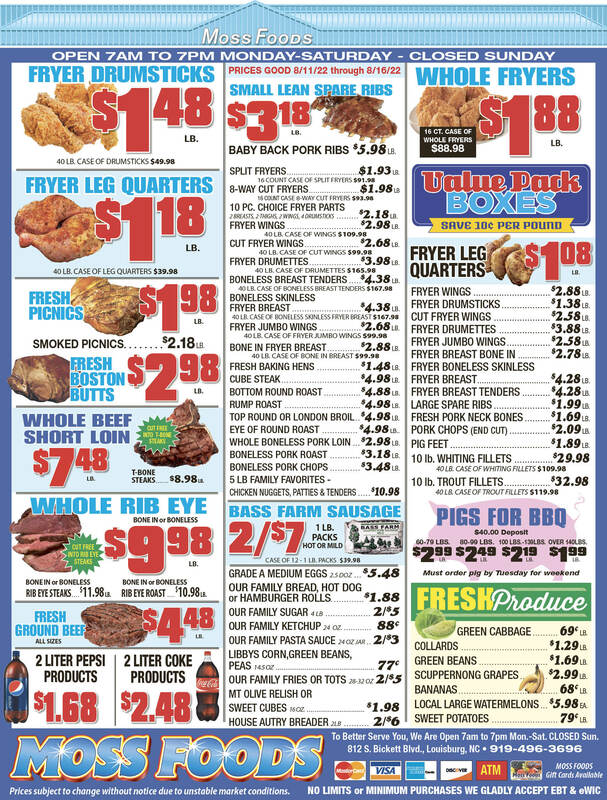 YOUNGSVILLE -- It is that time of year again. The Youngsville Woman's Club will host their annual Soup and Sandwich Luncheon on Thursday, Feb. 23, at the Youngsville Community House on Main Street. The club will serve from 11 a.m. until 1:30 p.m. The meal will include their chicken vegetable soup, turkey or pimento cheese sandwiches, homemade desserts, and iced tea, all for $8. YOUNGSVILLE -- Town officials and staff have committed to meeting again with the Youngsville Woman's Club to figure out the future of the town's Museum of History. Back in November, members of the club asked commissioners to consider ways they could aid the club to make sure the museum stays relevant and operational. The museum dates back to 1959 and the club's mission has been to restore and maintain the oldest church building in Youngsville and use the space as a community center to promote interest in the town's heritage, celebrate the arts, offer educational programs, and preserve history. YOUNGSVILLE -- Youngsville staff expected to take possession of its new town hall and police department last week, looking at a March 2 move-in date. About 19 months ago, a leaky roof prompted town officials and staff to begin looking into structural and other issues at the current town hall and police department. All meetings will be at 10 a.m. Feb. 25 unless otherwise noted. 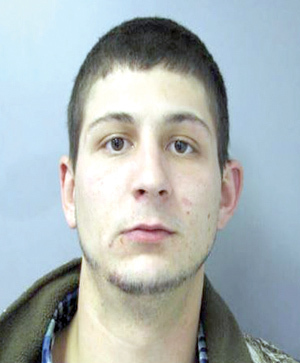 LOUISBURG -- Police arrested a Louisburg man on drug charges following a vehicle stop. According to a police report, Officer D.J. Moore was patrolling the 500 block of Kenmore Avenue at about 11:40 p.m. on Feb. 10 when he came across a sport utility vehicle parked in an area known for drug activity. As the officer got closer, according to the report, he saw someone get into the passenger seat of the car as it left the area, heading along Main Street toward Wade Avenue. LOUISBURG -- In the spring of 2009, the Franklin County Board of Commissioners agreed to let the airport retain property taxes and revenues so they could be used to bolster the airport. That hasn't quite happened, airport officials and staff said this week. "What [we've] asked for was for the money to be transferred into the airport fund and then paid out so there was a flow we could watch, and that never happened," Airport Director Steve Merritt told airport board members during a Tuesday afternoon meeting where the board discussed how to clarify the matter. 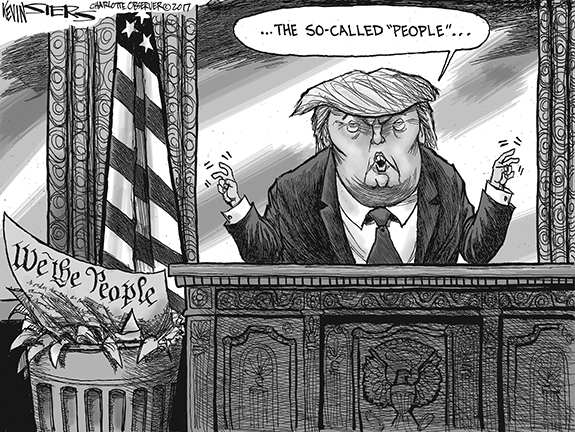 Legislators learn it's a person, not a policy! 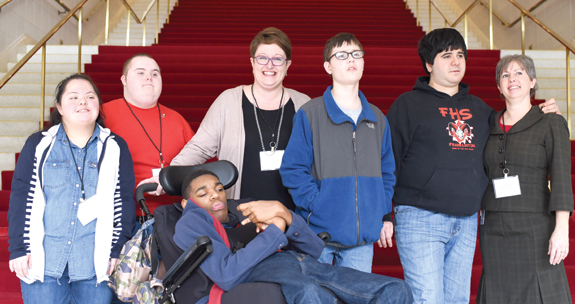 RALEIGH -- Students from Franklinton High School visited the North Carolina Legislature recently to advocate for individuals with disabilities in partnership with The Arc of North Carolina -- a statewide organization dedicated to improving the lives of individuals with intellectual and developmental disabilities. The visit was coordinated and led by John Nash, executive director of The Arc of North Carolina. Jennifer Dale's adaptive curriculum students from FHS joined Nash on Tuesday to distribute Arc materials to legislators and their aides. Feb. 22 is the date when corn growers will vote on continuation of the self-assessment program for six years. The Board of Directors of the Corn Growers Association is asking that farmers assess themselves at a rate of $1.25 cents per bushel on all corn marketed in North Carolina. The campaign to continue the assessment was announced Jan. 13 by President Dennis Waller at the North Carolina Commodities Conference of Corn, Cotton, Soybeans and Small Grain Producers in Durham.